Citric acid (citrate) is a weak acid that is formed in the tricarboxylic acid cycle or that may be introduced with diet. The evaluation of plasma citric acid is scarcely used in the diagnosis of human diseases. On the contrary urinary citrate excretion is a common tool in the differential diagnosis of kidney stones, renal tubular acidosis and it plays also a role in bone diseases. The importance of hypocitraturia should be considered with regard to bone mass, urine crystallization and urolithiasis. (PMID 12957820) The secretory epithelial cells of the prostate gland of humans and other animals posses a unique citrate-related metabolic pathway regulated by testosterone and prolactin. This specialized hormone-regulated metabolic activity is responsible for the major prostate function of the production and secretion of extraordinarily high levels of citrate. The key regulatory enzymes directly associated with citrate production in the prostate cells are mitochondrial aspartate aminotransferase, pyruvate dehydrogenase, and mitochondrial aconitase. testosterone and prolactin are involved in the regulation of the corresponding genes associated with these enzymes. The regulatory regions of these genes contain the necessary response elements that confer the ability of both hormones to control gene transcription. Protein kinase c (PKC) is the signaling pathway for the prolactin regulation of the metabolic genes in prostate cells. testosterone and prolactin regulation of these metabolic genes (which are constitutively expressed in all mammalian cells) is specific for these citrate-producing cells. (PMID 12198595) Citric acid is found in citrus fruits, most concentrated in lemons and limes, where it can comprise as much as 8% of the dry weight of the fruit. Citric acid is a natural preservative and is also used to add an acidic (sour) taste to foods and soft drinks. The salts of citric acid (citrates) can be used as anticoagulants due to their calcium chelating ability. Intolerance to citric acid in the diet is known to exist. Little information is available as the condition appears to be rare, but like other types of food intolerance it is often described as a "pseudo-allergic" reaction. 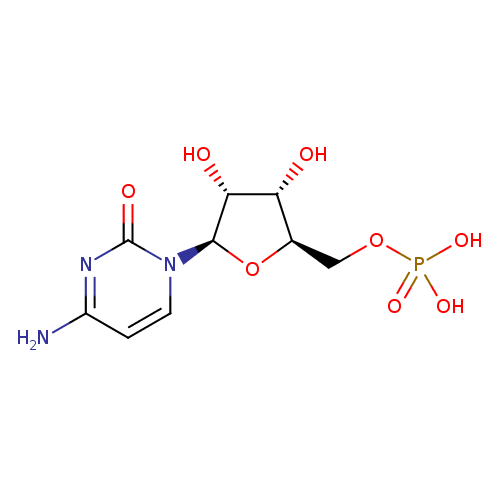 Cytidine monophosphate, also known as 5'-cytidylic acid and abbreviated CMP, is a nucleotide. It is an ester of phosphoric acid with the nucleoside cytidine. 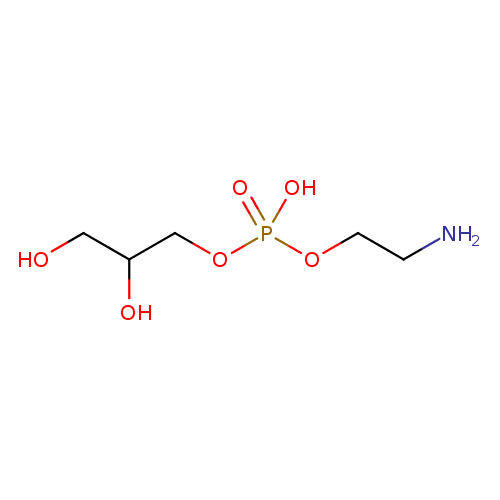 CMP consists of the phosphate group, the pentose sugar ribose, and the nucleobase cytosine. Cytidine monophosphate (CMP) is derived from cytidine triphosphate (CTP) with subsequent loss of two phosphates. The synthesis of the pyrimidines CTP and UTP occurs in the cytoplasm and starts with the formation of carbamoyl phosphate from glutamine and CO2. 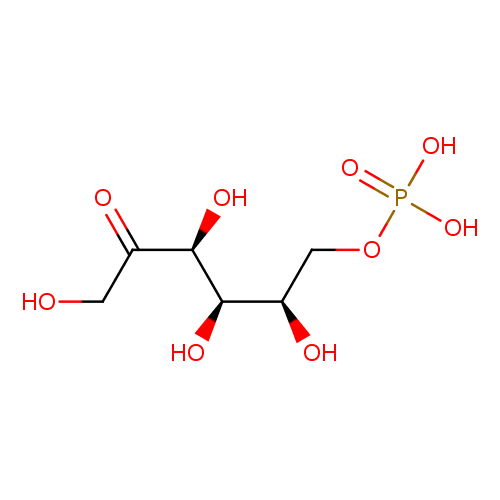 Next, aspartate undergoes a condensation reaction with carbamoyl-phosphate to form orotic acid. In a subsequent cyclization reaction, the enzyme Aspartate carbamoyltransferase forms N-carbamoyl-aspartate which is converted into dihydroorotic acid by Dihydroorotase. The latter is converted to orotate by Dihydroorotate oxidase. Orotate is covalently linked with a phosphorylated ribosyl unit with Orotate phosphoribosyltransferase (aka "PRPP transferase") catalyzing reaction, yielding orotidine monophosphate (OMP). Orotidine-5-phosphate is decarboxylated by Orotidine-5'-phosphate decarboxylase to form uridine monophosphate (UMP). UMP is phosphorylated by two kinases to uridine triphosphate (UTP) via two sequential reactions with ATP. CTP is subsequently formed by amination of UTP by the catalytic activity of CTP synthetase. 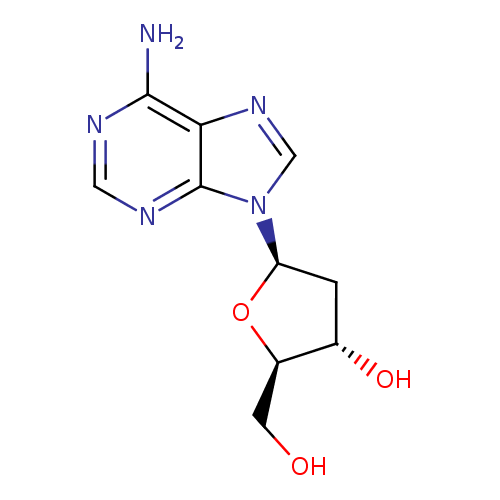 Cytosine monophosphate (CMP) and uridine monophosphate (UMP) have been prescribed for the treatment of neuromuscular affections in humans. Patients treated with CMP/UMP recover from altered neurological functions. Additionally, the administration of CMP/UMP appears to favour the entry of glucose in the muscle and CMP/UMP may be important in maintaining the level of hepatic glycogen constant during exercise. [PMID:18663991]. 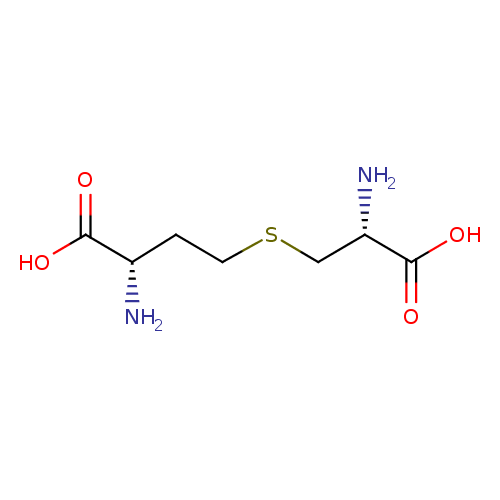 Cystathionine is a dipeptide formed by serine and homocysteine. Cystathioninuria is a prominent manifestation of vitamin-B6 deficiency. The transsulfuration of methionine yields homocysteine, which combines with serine to form cystathionine, the proximate precursor of cysteine through the enzymatic activity of cystathionase. In conditions in which cystathionine gamma-synthase or cystathionase is deficient, for example, there is cystathioninuria. Although cystathionine has not been detected in normal human serum or plasma by most conventional methods, gas chromatographic/mass spectrometric methodology detected a mean concentration of cystathionine in normal human serum of 140 nM, with a range of 65 to 301 nM.567 Cystathionine concentrations in CSF have been 10, 1, and 0.5 uM, and "not detected." Only traces (i.e., <1 uM) of cystathionine are present in normal CSF.587. gamma-Cystathionase deficiency provided the first instance in which, in a human, the major biochemical abnormality due to a defined enzyme defect was clearly shown to be alleviated by administration of large doses of pyridoxine. The response in gamma-cystathionase-deficient patients is not attributable to correction of a preexisting deficiency of this vitamin. (OMMBID, Chap. 88). Deoxyadenosine is a derivative of the nucleoside adenosine. It is composed of adenine attached to a deoxyribose moiety via a N9-glycosidic bond. Deoxyribose differs from ribose by the absence of oxygen in the 3' position of its ribose ring. Deoxyadenosine is a critical component of DNA. When present in sufficiently high levels, deoxyadensoine can act as an immunotoxin and a metabotoxin. An immunotoxin disrupts, limits the function, or destroys immune cells. A metabotoxin is an endogenous metabolite that causes adverse health effects at chronically high levels. Chronically high levels of deoxyadenosine are associated with adenosine deaminase (ADA) deficiency, an inborn error of metabolism. ADA deficiency damages the immune system and causes severe combined immunodeficiency (SCID). People with SCID lack virtually all immune protection from bacteria, viruses, and fungi. They are prone to repeated and persistent infections that can be very serious or life-threatening. These infections are often caused by "opportunistic" organisms that ordinarily do not cause illness in people with a normal immune system. The main symptoms of ADA deficiency are pneumonia, chronic diarrhea, and widespread skin rashes. The mechanism by which dATP functions as an immunotoxin is as follows: because deoxyadenosine is a precursor to dATP, a buildup of dATP in cells inhibits ribonucleotide reductase and prevents DNA synthesis, so cells are unable to divide. Since developing T cells and B cells are some of the most mitotically active cells, they are unable to divide and propagate to respond to immune challenges. High levels of deoxyadenosine also lead to an increase in S-adenosylhomocysteine, which is toxic to immature lymphocytes. 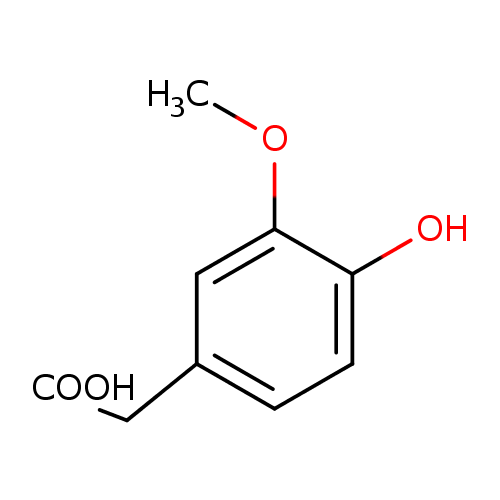 Galactitol or dulcitol is a sugar alcohol that is a metabolic breakdown product of galactose. 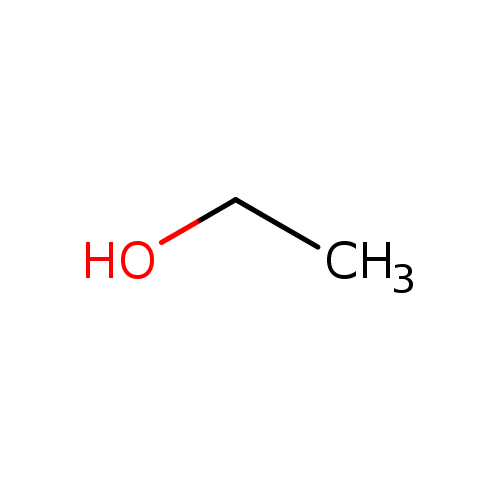 Galactose is derived from lactose in food (such as dairy products). When lactose is broken down by the enzyme lactase it produces glucose and galactose. Galactitol has a slightly sweet taste. 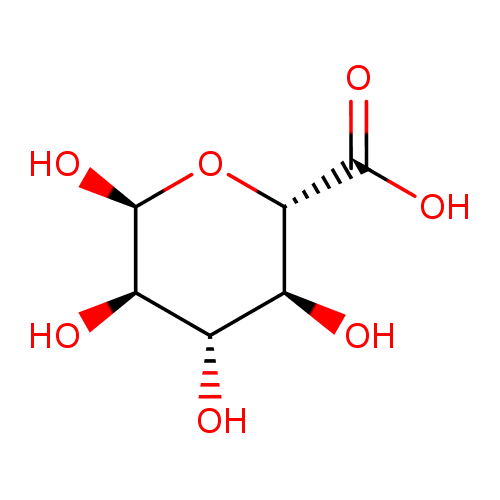 It is produced from galactose in a reaction catalyzed by aldose reductase. When present in sufficiently high levels, galactitol can act as a metabotoxin, a neurotoxin, and a hepatotoxin. A neurotoxin is a compound that disrupts or attacks neural cells and neural tissue. 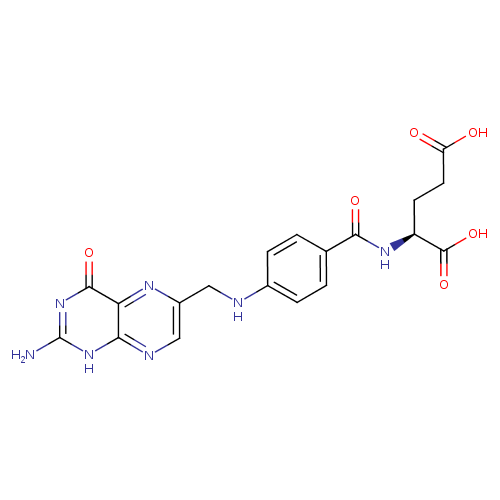 A hepatotoxin as a compound that disrupts or attacks liver tissue or liver cells. A metabotoxin is an endogenously produced metabolite that causes adverse health effects at chronically high levels. Chronically high levels of galactitol are associated with at least two inborn errors of metabolism, including galactosemia and galactosemia type II. Galactosemia is a rare genetic metabolic disorder that affects an individual's ability to metabolize the sugar galactose properly. Excess lactose consumption in individuals with galactose intolerance or galactosemia activates aldose reductase to produce galactitol, thus depleting NADPH and leading to lowered glutathione reductase activity. As a result, hydrogen peroxide or other free radicals accumulate causing serious oxidative damage to various cells and tissues. In individuals with galactosemia, the enzymes needed for the further metabolism of galactose (galactose-1-phosphate uridyltransferase) are severely diminished or missing entirely, leading to toxic levels of galactose 1-phosphate, galactitol, and galactonate. High levels of galactitol in infants are specifically associated with hepatomegaly (an enlarged liver), cirrhosis, renal failure, cataracts, vomiting, seizure, hypoglycemia, lethargy, brain damage, and ovarian failure. Ethanol is a clear, colorless liquid rapidly absorbed from the gastrointestinal tract and distributed throughout the body. It has bactericidal activity and is used often as a topical disinfectant. It is widely used as a solvent and preservative in pharmaceutical preparations as well as serving as the primary ingredient in alcoholic beverages. Indeed, ethanol has widespread use as a solvent of substances intended for human contact or consumption, including scents, flavorings, colorings, and medicines. Ethanol has a depressive effect on the central nervous system and because of its psychoactive effects, it is considered a drug. Ethanol has a complex mode of action and affects multiple systems in the brain, most notably it acts as an agonist to the GABA receptors. Death from ethanol consumption is possible when blood alcohol level reaches 0.4%. A blood level of 0.5% or more is commonly fatal. Levels of even less than 0.1% can cause intoxication, with unconsciousness often occurring at 0.3-0.4 %. Ethanol is metabolized by the body as an energy-providing carbohydrate nutrient, as it metabolizes into acetyl CoA, an intermediate common with glucose metabolism, that can be used for energy in the citric acid cycle or for biosynthesis. Ethanol within the human body is converted into acetaldehyde by alcohol dehydrogenase and then into acetic acid by acetaldehyde dehydrogenase. The product of the first step of this breakdown, acetaldehyde, is more toxic than ethanol. Acetaldehyde is linked to most of the clinical effects of alcohol. It has been shown to increase the risk of developing cirrhosis of the liver, multiple forms of cancer, and alcoholism. Industrially, ethanol is produced both as a petrochemical, through the hydration of ethylene, and biologically, by fermenting sugars with yeast. Small amounts of ethanol are endogenously produced by gut microflora through anaerobic fermentation. However most ethanol detected in biofluids and tissues likely comes from consumption of alcoholic beverages. Absolute ethanol or anhydrous alcohol generally refers to purified ethanol, containing no more than one percent water. Absolute alcohol is not intended for human consumption. It often contains trace amounts of toxic benzene (used to remove water by azeotropic distillation). Consumption of this form of ethanol can be fatal over a short time period. Generally absolute or pure ethanol is used as a solvent for lab and industrial settings where water will disrupt a desired reaction. Pure ethanol is classed as 200 proof in the USA and Canada, equivalent to 175 degrees proof in the UK system. gamma-Aminobutyric acid (GABA) is an inhibitory neurotransmitter found in the nervous systems of widely divergent species, including humans. It is the chief inhibitory neurotransmitter in the vertebrate central nervous system. In vertebrates, GABA acts at inhibitory synapses in the brain. It acts by binding to specific transmembrane receptors in the plasma membrane of both pre- and postsynaptic neurons. This binding causes the opening of ion channels to allow either the flow of negatively-charged chloride ions into the cell or positively-charged potassium ions out of the cell. This will typically result in a negative change in the transmembrane potential, usually causing hyperpolarization. Three general classes of GABA receptor are known (PMID: 10561820). These include GABA-A and GABA-C ionotropic receptors, which are ion channels themselves, and GABA-B metabotropic receptors, which are G protein-coupled receptors that open ion channels via intermediaries known as G proteins (PMID: 10561820). Activation of the GABA-B receptor by GABA causes neuronal membrane hyperpolarization and a resultant inhibition of neurotransmitter release. In addition to binding sites for GABA, the GABA-A receptor has binding sites for benzodiazepines, barbiturates, and neurosteroids. GABA-A receptors are coupled to chloride ion channels. Therefore, activation of the GABA-A receptor induces increased inward chloride ion flux, resulting in membrane hyperpolarization and neuronal inhibition (PMID: 10561820). After release into the synapse, free GABA that does not bind to either the GABA-A or GABA-B receptor complexes can be taken up by neurons and glial cells. Four different GABA membrane transporter proteins (GAT-1, GAT-2, GAT-3, and BGT-1), which differ in their distribution in the CNS, are believed to mediate the uptake of synaptic GABA into neurons and glial cells. The GABA-A receptor subtype regulates neuronal excitability and rapid changes in fear arousal, such as anxiety, panic, and the acute stress response (PMID: 10561820). Drugs that stimulate GABA-A receptors, such as the benzodiazepines and barbiturates, have anxiolytic and anti-seizure effects via GABA-A-mediated reduction of neuronal excitability, which effectively raises the seizure threshold. GABA-A antagonists produce convulsions in animals and there is decreased GABA-A receptor binding in a positron emission tomography (PET) study of patients with panic disorder. Neurons that produce GABA as their output are called GABAergic neurons and have chiefly inhibitory action at receptors in the vertebrate. Medium spiny neurons (MSNs) are a typical example of inhibitory CNS GABAergic cells. GABA has been shown to have excitatory roles in the vertebrate, most notably in the developing cortex. Organisms synthesize GABA from glutamate using the enzyme L-glutamic acid decarboxylase and pyridoxal phosphate as a cofactor (PMID: 12467378). It is worth noting that this involves converting the principal excitatory neurotransmitter (glutamate) into the principal inhibitory one (GABA). Drugs that act as agonists of GABA receptors (known as GABA analogs or GABAergic drugs), or increase the available amount of GABA typically have relaxing, anti-anxiety, and anti-convulsive effects. GABA is found to be deficient in cerebrospinal fluid and the brain in many studies of experimental and human epilepsy. Benzodiazepines (such as Valium) are useful in status epilepticus because they act on GABA receptors. GABA increases in the brain after administration of many seizure medications. Hence, GABA is clearly an antiepileptic nutrient. Inhibitors of GAM metabolism can also produce convulsions. Spasticity and involuntary movement syndromes, such as Parkinson's, Friedreich's ataxia, tardive dyskinesia, and Huntington's chorea, are all marked by low GABA when amino acid levels are studied. Trials of 2 to 3 g of GABA given orally have been effective in various epilepsy and spasticity syndromes. Agents that elevate GABA are also useful in lowering hypertension. Three grams orally have been effective in controlling blood pressure. GABA is decreased in various encephalopathies. GABA can reduce appetite and is decreased in hypoglycemics. GABA reduces blood sugar in diabetics. Chronic brain syndromes can also be marked by deficiencies of GABA. Vitamin B6, manganese, taurine, and lysine can increase both GABA synthesis and effects, while aspartic acid and glutamic acid probably inhibit GABA effects. Low plasma GABA has been reported in some depressed patients and may be a useful trait marker for mood disorders. GABA has an important role in embryonic development, especially facial development, as substantiated by the association of a cleft palate in transgenic mice deficient in GAD67 (glutamate decarboxylase). A recent Japanese population study reported linkage in patients with a nonsyndromic cleft lip with or without a cleft palate and specific GAD67 haplotypes (PMID: 23842532). Unusually high levels of GABA (especially in the brain) can be toxic and GABA can function as both a neurotoxin and a metabotoxin. A neurotoxin is a compound that damages the brain and/or nerve tissue. A metabotoxin is an endogenously produced metabolite that causes adverse health effects at chronically high levels. Chronically high levels of GABA are associated with at least five inborn errors of metabolism, including D-2-hydroxyglutaric aciduria, 4-hydroxybutyric aciduria/succinic semialdehyde dehydrogenase deficiency, GABA-transaminase deficiency, homocarnosinosis, and hyper beta-alaninemia. Nearly all of these conditions are associated with seizures, hypotonia, intellectual deficits, macrocephaly, encephalopathy, and other serious neurological or neuromuscular problems. Increased levels of GABA seem to alter the function of the GABA-B receptor, which may play a role in the tonic-clonic seizures that are often seen in patients with the above disorders. Glycerylphosphorylethanolamine, also known as gpea, belongs to the class of organic compounds known as organic phosphoramides. These are organic compounds containing the phosphoric acid amide functional group. Glycerylphosphorylethanolamine is soluble (in water) and a moderately acidic compound (based on its pKa). Glycerylphosphorylethanolamine has been found in human brain, prostate and liver tissues. Within the cell, glycerylphosphorylethanolamine is primarily located in the cytoplasm. Glycerylphosphorylethanolamine exists in all living organisms, ranging from bacteria to humans. In humans, glycerylphosphorylethanolamine is involved in phospholipid biosynthesis pathway. Glycerylphosphorylethanolamine is a membrane breakdown product resulting from the cleavage of the lipid group from glycerophosphoethanlomine fatty acids (i.e. phosphatidylethanolamine). It acts as a growth stimulant for hepatocytes. Homovanillic acid is a dopamine metabolite occurring in human biofluids. A high proportion of patients with neuroblastoma excrete increased amounts of it in their urine. 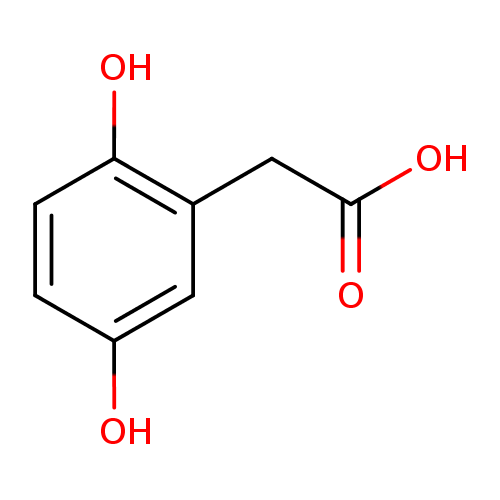 Homovanillic acid is a major catecholamine metabolite. It is used as a reagent to detect oxidative enzymes.(Wikipedia). 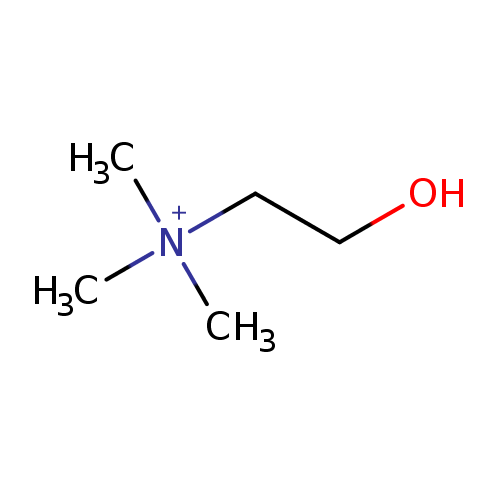 Glyoxylic acid or oxoacetic acid is an organic compound that is both an aldehyde and a carboxylic acid. 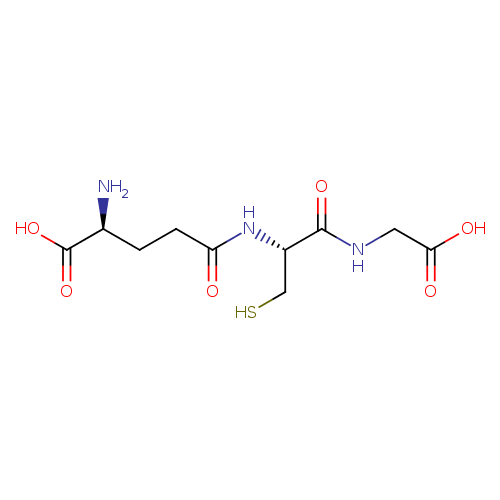 Glyoxylic acid is a liquid with a melting point of -93°C and a boiling point of 111°C. It is an intermediate of the glyoxylate cycle, which enables certain organisms to convert fatty acids into carbohydrates. The conjugate base of glyoxylic acid is known as glyoxylate (PMID: 16396466). In humans, glyoxylate is produced via two pathways: (1) through the oxidation of glycolate in peroxisomes and (2) through the catabolism of hydroxyproline in mitochondria. In the peroxisomes, glyoxylate is converted into glycine by glyoxylate aminotransferase (AGT1) or into oxalate by glycolate oxidase. In the mitochondria, glyoxylate is converted into glycine by mitochondrial glyoxylate aminotransferase AGT2 or into glycolate by glycolate reductase. A small amount of glyoxylate is converted into oxalate by cytoplasmic lactate dehydrogenase. Glyoxylic acid is found to be associated with primary hyperoxaluria I, which is an inborn error of metabolism. Under certain circumstances, glyoxylate can be a nephrotoxin and a metabotoxin. A nephrotoxin is a compound that causes damage to the kidney and kidney tissues. A metabotoxin is an endogenously produced metabolite that causes adverse health effects at chronically high levels. High levels of glyoxylate are involved in the development of hyperoxaluria, a key cause of nephrolithiasis (commonly known as kidney stones). Glyoxylate is both a substrate and inductor of sulfate anion transporter-1 (SAT-1), a gene responsible for oxalate transportation, allowing it to increase SAT-1 mRNA expression, and as a result oxalate efflux from the cell. The increased oxalate release allows the buildup of calcium oxalate in the urine, and thus the eventual formation of kidney stones. As an aldehyde, glyoxylate is also highly reactive and will modify proteins to form advanced glycation products (AGEs). Folic acid is a member of the vitamin B family that stimulates the hematopoietic system. It is present in the liver and kidney and is found in mushrooms, spinach, yeast, green leaves, and grasses (poaceae). Folic acid, being biochemically inactive, is converted to tetrahydrofolic acid and methyltetrahydrofolate by dihydrofolate reductase. These folic acid congeners are transported across cells by receptor-mediated endocytosis where they are needed to maintain normal erythropoiesis, synthesize purine and thymidylate nucleic acids, interconvert amino acids, methylated tRNA, and generate and use formate. Folic acid is used in the treatment and prevention of folate deficiencies and megaloblastic anemia. 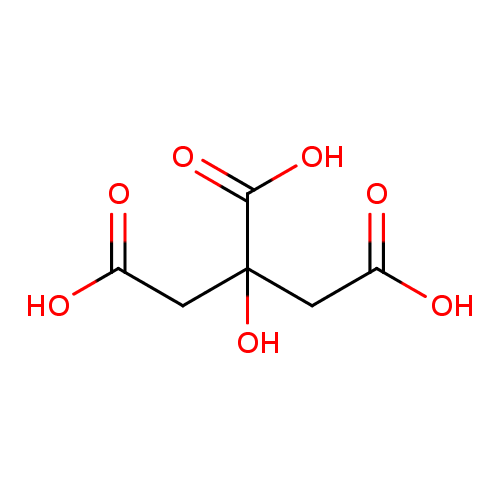 Glucose is a monosaccharide containing six carbon atoms and an aldehyde group and is therefore referred to as an aldohexose. 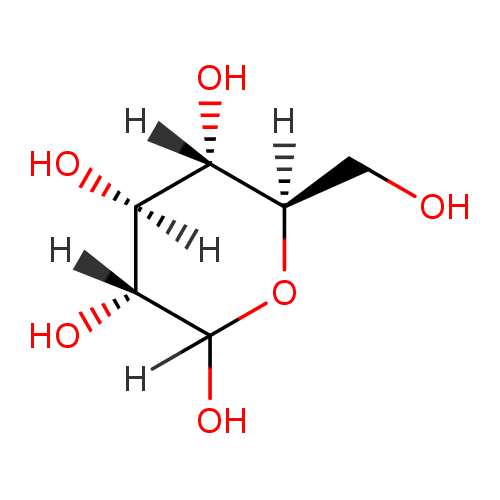 The glucose molecule can exist in an open-chain (acyclic) and ring (cyclic) form, the latter being the result of an intramolecular reaction between the aldehyde C atom and the C-5 hydroxyl group to form an intramolecular hemiacetal. In water solution both forms are in equilibrium and at pH 7 the cyclic one is the predominant. Glucose is a primary source of energy for living organisms. It is naturally occurring and is found in fruits and other parts of plants in its free state. In animals glucose arises from the breakdown of glycogen in a process known as glycogenolysis. Glucose is synthesized in the liver and kidneys from non-carbohydrate intermediates, such as pyruvate and glycerol, by a process known as gluconeogenesis. 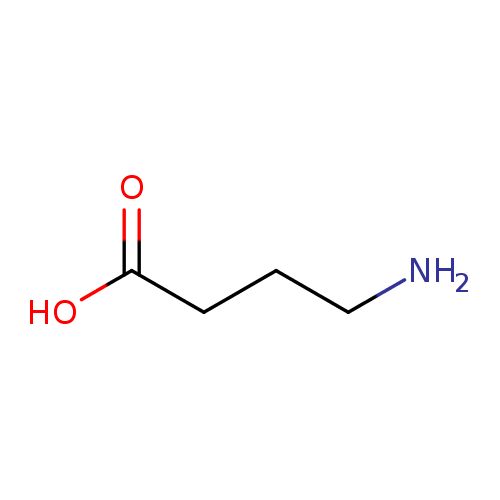 Glycine is a simple, nonessential amino acid, although experimental animals show reduced growth on low-glycine diets. The average adult ingests 3 to 5 grams of glycine daily. Glycine is involved in the body's production of DNA, phospholipids and collagen, and in release of energy. Glycine levels are effectively measured in plasma in both normal patients and those with inborn errors of glycine metabolism. 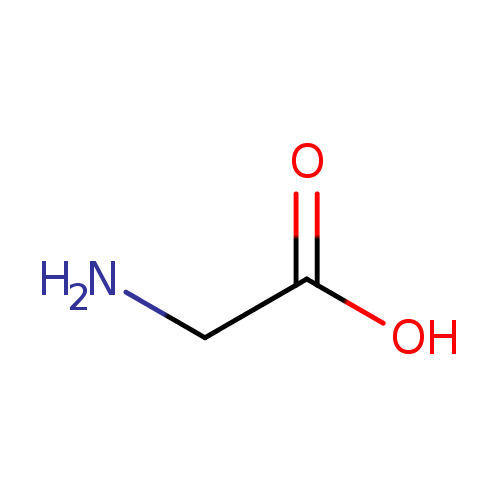 (http://www.dcnutrition.com/AminoAcids/) Nonketotic hyperglycinaemia (OMIM 606899) is an autosomal recessive condition caused by deficient enzyme activity of the glycine cleavage enzyme system (EC 2.1.1.10). The glycine cleavage enzyme system comprises four proteins: P-, T-, H- and L-proteins (EC 1.4.4.2, EC 2.1.2.10 and EC 1.8.1.4 for P-, T- and L-proteins). Mutations have been described in the GLDC (OMIM 238300), AMT (OMIM 238310), and GCSH (OMIM 238330) genes encoding the P-, T-, and H-proteins respectively. The glycine cleavage system catalyses the oxidative conversion of glycine into carbon dioxide and ammonia, with the remaining one-carbon unit transferred to folate as methylenetetrahydrofolate. It is the main catabolic pathway for glycine and it also contributes to one-carbon metabolism. Patients with a deficiency of this enzyme system have increased glycine in plasma, urine and cerebrospinal fluid (CSF) with an increased CSF: plasma glycine ratio. (PMID 16151895). Fructose 6-phosphate is an important intermediate in the Carbohydrates pathway. The interconversion of glucose-6-phosphate and fructose-6-phosphate, the second step of the Embden-Meyerhof glycolytic pathway, is catalyzed by the enzyme phosphoglucose isomerase (PGI). In gluconeogenesis, fructose-6-phosphate is the immediate precursor of glucose-6-phosphate (wikipedia). Glutathione is a compound synthesized from cysteine, perhaps the most important member of the body's toxic waste disposal team. Like cysteine, glutathione contains the crucial thiol (-SH) group that makes it an effective antioxidant. There are virtually no living organisms on this planet-animal or plant whose cells don't contain some glutathione. Scientists have speculated that glutathione was essential to the very development of life on earth. glutathione has many roles; in none does it act alone. It is a coenzyme in various enzymatic reactions. The most important of these are redox reactions, in which the thiol grouping on the cysteine portion of cell membranes protects against peroxidation; and conjugation reactions, in which glutathione (especially in the liver) binds with toxic chemicals in order to detoxify them. glutathione is also important in red and white blood cell formation and throughout the immune system. glutathione's clinical uses include the prevention of oxygen toxicity in hyperbaric oxygen therapy, treatment of lead and other heavy metal poisoning, lowering of the toxicity of chemotherapy and radiation in cancer treatments, and reversal of cataracts. (http://www.dcnutrition.com/AminoAcids/) glutathione participates in leukotriene synthesis and is a cofactor for the enzyme glutathione peroxidase. It is also important as a hydrophilic molecule that is added to lipophilic toxins and waste in the liver during biotransformation before they can become part of the bile. glutathione is also needed for the detoxification of methylglyoxal, a toxin produced as a by-product of metabolism. This detoxification reaction is carried out by the glyoxalase system. Glyoxalase I (EC 4.4.1.5) catalyzes the conversion of methylglyoxal and reduced glutathione to S-D-Lactoyl-glutathione. Glyoxalase II (EC 3.1.2.6) catalyzes the hydrolysis of S-D-Lactoyl-glutathione to glutathione and D-lactate. GSH is known as a substrate in both conjugation reactions and reduction reactions, catalyzed by glutathione S-transferase enzymes in cytosol, microsomes, and mitochondria. However, it is also capable of participating in non-enzymatic conjugation with some chemicals, as in the case of n-acetyl-p-benzoquinone imine (NAPQI), the reactive cytochrome P450-reactive metabolite formed by acetaminophen, that becomes toxic when GSH is depleted by an overdose (of acetaminophen). glutathione in this capacity binds to NAPQI as a suicide substrate and in the process detoxifies it, taking the place of cellular protein thiol groups which would otherwise be covalently modified; when all GSH has been spent, NAPQI begins to react with the cellular proteins, killing the cells in the process. The preferred treatment for an overdose of this painkiller is the administration (usually in atomized form) of N-acetylcysteine, which is used by cells to replace spent GSSG and renew the usable GSH pool. (http://en.wikipedia.org/wiki/glutathione). Glycerol 3-phosphate is a chemical intermediate in the glycolysis metabolic pathway. It is commonly confused with the similarly named glycerate 3-phosphate or glyceraldehyde 3-phosphate. 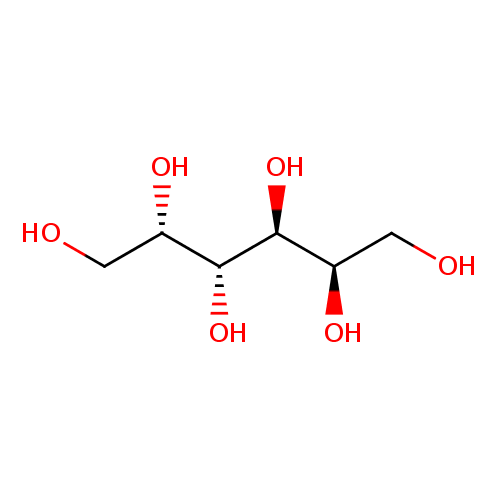 Glycerol 3-phosphate is produced from glycerol, the triose sugar backbone of triglycerides and glycerophospholipids, by the enzyme glycerol kinase. 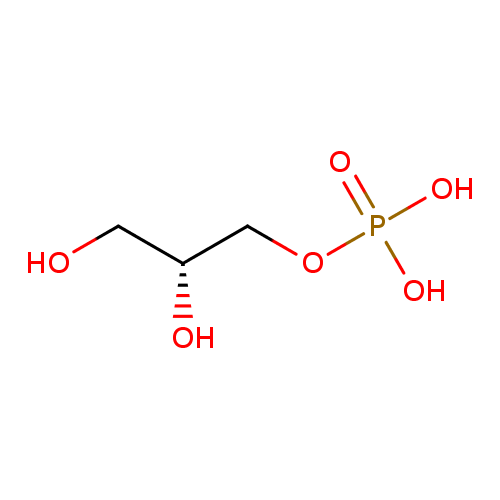 Glycerol 3-phospate may then be converted by dehydrogenation to dihydroxyacetone phosphate (DHAP) by the enzyme glycerol-3-phosphate dehydrogenase. DHAP can then be rearranged into glyceraldehyde 3-phosphate (GA3P) by triose phosphate isomerase (TIM), and feed into glycolysis. The glycerol 3-phosphate shuttle is used to rapidly regenerate NAD+ in the brain and skeletal muscle cells of mammals (wikipedia). Glucuronic acid is a carboxylic acid that has the structure of a glucose molecule that has had its sixth carbon atom (of six total) oxidized. The salts of glucuronic acid are known as glucuronates. Glucuronic acid is highly soluble in water. In humans, glucuronic acid is often linked to toxic or poisonous substances to allow for subsequent elimination, and to hormones to allow for easier transport. These linkages involve O-glycosidic bonds. The process is known as glucuronidation, and the resulting substances are known as glucuronides (or glucuronosides). Glucuronidation uses UDP-glucuronic acid (glucuronic acid linked via a glycosidic bond to uridine diphosphate) as an intermediate. UDP-glucuronic acid is formed in the liver of all animals. 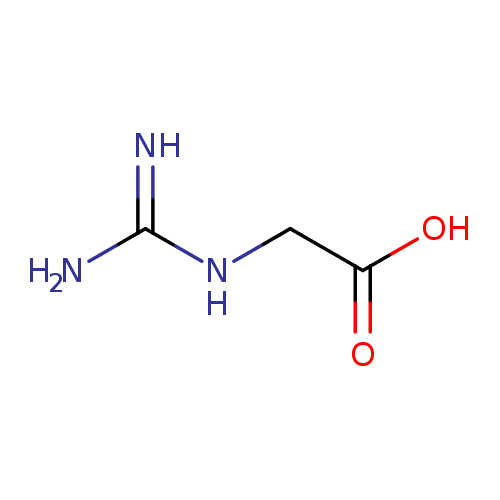 Guanidoacetic acid is a metabolite in the Urea cycle and metabolism of amino groups, and in the metabolic pathways of several amino acids. This includes glycine, serine, threonine, arginine and proline metabolism. Guanidinoacetic acid is also a precursor of creatine, an essential substrate for muscle energy metabolism. Homogentisic acid, also known as melanic acid, is an intermediate in the breakdown or catabolism of tyrosine and phenylalanine. It is generated from the compound p-hydroxyphenylpyruvate through the enzyme p-hydroxyphenylpyruvate dehydrogenase. 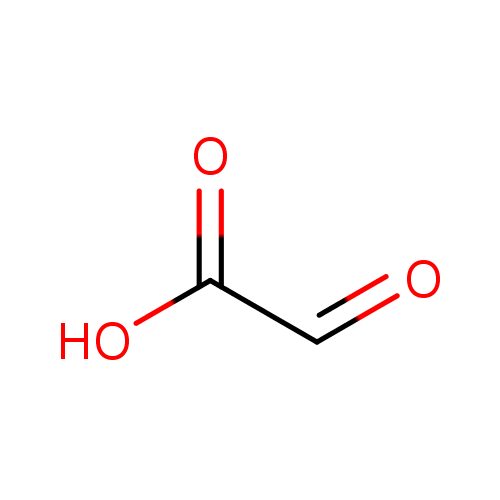 The resulting homogentisic acid is then broken down into 4-maleylacetoacetate via the enzyme homogentisate 1,2-dioxygenase. Homogentisic acid is also found in other organisms. For instance, it can found in Arbutus unedo (strawberry-tree) honey, in the bacterial plant pathogen Xanthomonas campestris as well as in the yeast Yarrowia lipolytica where it is associated with the production of brown pigments. Homogentisic acid can be oxidatively dimerized to form hipposudoric acid, one of the main constituents of the 'blood sweat' of hippopotamuses. When present in sufficiently high levels, homogentisic acid can function as an osteotoxin and a renal toxin. An osteotoxin is a substance that causes damage to bones and/or joints. A renal toxin causes damage to the kidneys. Chronically high levels of homogentisic acid are associated with alkaptonuria (OMIM: 203500), an inborn error of metabolism. Alkaptonuria is a rare inherited genetic disorder in which the body cannot process the amino acids phenylalanine and tyrosine. It is caused by a mutation in the enzyme homogentisate 1,2-dioxygenase (EC 1.13.11.5), which leads to an accumulation of homogentisic acid in the blood and tissues. Homogentisic acid and its oxidized form benzoquinone acetic acid are excreted in the urine, giving it an unusually dark color. The accumulating homogentisic acid (and benzoquinone acetic acid) causes damage to cartilage (ochronosis, leading to osteoarthritis) and heart valves as well as precipitating as kidney stones and stones in other organs. More specifically, homogentisic acid can be converted to benzoquinone acetic acid (BQA), and the resulting BQA can be readily converted to polymers that resemble the dark skin pigment melanin. These polymers are deposited in the collagen, a connective tissue protein, of particular tissues such as cartilage. This process is called ochronosis (as the tissue looks ochre); ochronotic tissue is stiffened and unusually brittle, impairing its normal function and causing damage. Homogentisic acid is the primary precursor of melanin synthesis in Vibrio cholerae.